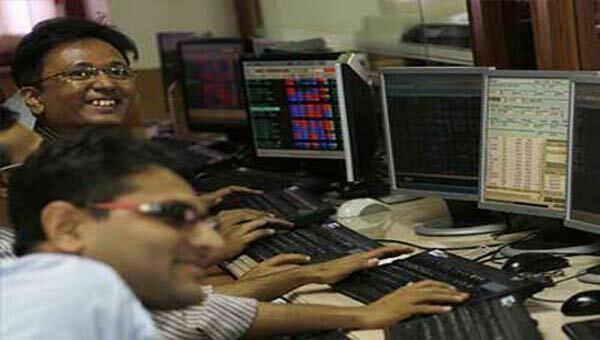 Mumbai, India (BBN) – Benchmark BSE Sensex rebounded about 123 points in early trade today on fresh buying by investors, tracking a firm trend in other Asian bourses. Short-covering of bets, today being the last session of May expiry in the derivatives segment, supported the recovery. Brokers said market sentiment improved largely in tandem with a firming trend at other Asian bourses, tracking overnight gains at Wall Street as minutes from the Federal Reserve’s latest policy meeting pointed to a June rate hike and indicated healthy US economy. Fresh spell of buying by foreign investors, who were net sellers for several sessions, and further recovery in the rupee, also lifted the mood, they added. Major gainers were GAIL, ITC Ltd, Asian Paints, ONGC, Infosys, HDFC Ltd, L&T, M&M, TCS, Coal India and Wipro, rising by up to 1.74 per cent. However, Lupin tumbled 5.51 per cent to Rs. 1,160 after the company yesterday reported over 49 per cent dip in consolidated net profit for the fourth quarter ended March. Globally, Hong Kong’s Hang Seng was up 0.54 per cent, Japan’s Nikkei gained 0.53 per cent while Shanghai Composite index edged higher by 0.08 per cent in early trade today.